Penny loves her toy Pup so much she thinks she doesn't need any other friends. But when Pup is lost, Penny learns we all need a little help sometimes. 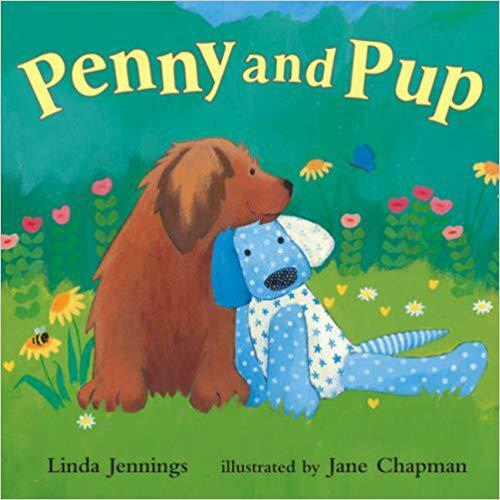 Sally Cassano reads "Penny and Pup" by Linda Jennings. Thomas and Joseph are perfectly sloppy, happy pigs. When the other animals try to get them to clean up their act, the pigs prove that being lazy might not be as dumb as it seems. Sally Cassano reads "Oink?" by Margie Palatini. After a fire destroys their home and possessions, Rosa, her mother, and grandmother save their money to buy a big comfortable chair that they can all enjoy. Sally Cassano reads "A Chair for My Mother" by Vera Williams. Everything comes from something, as Agatha learns when she gets a late-night visit from some geese that are not thrilled with her new feather bed. Sally Cassano reads "Agatha’s Feather Bed" by Carmen Agra Deedy.